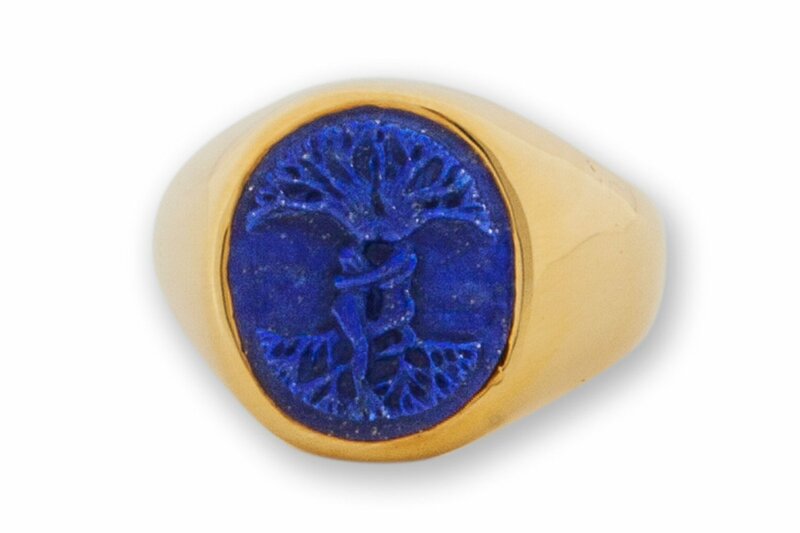 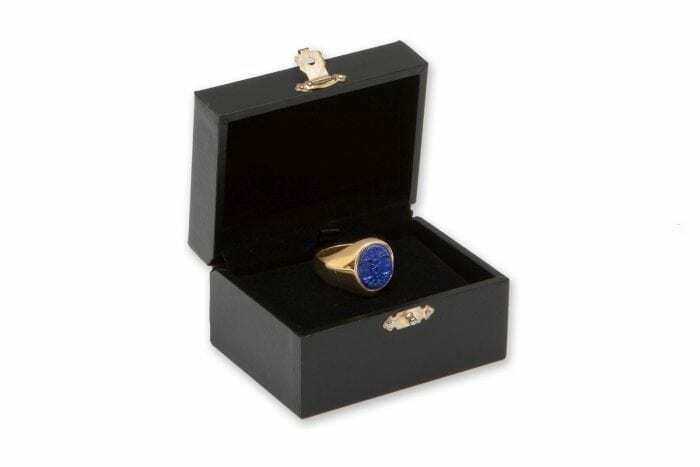 Tree Of Life ring carved by hand to genuine high quality lapis and set in gold plated (5 Microns 18K Gold) sterling silver. 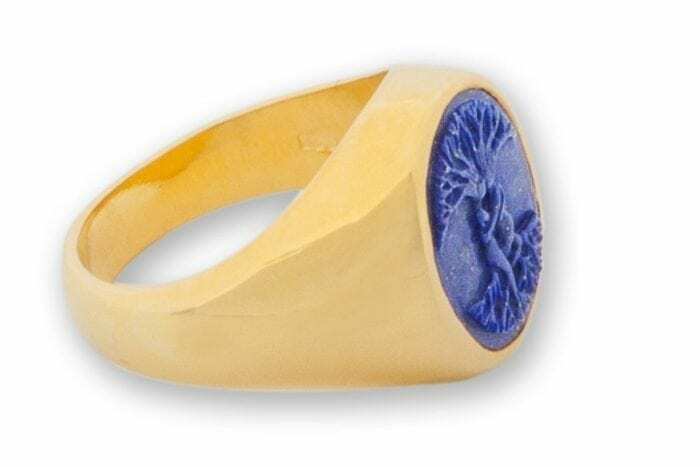 The ring stone oval cut is 18 x 16 mm. 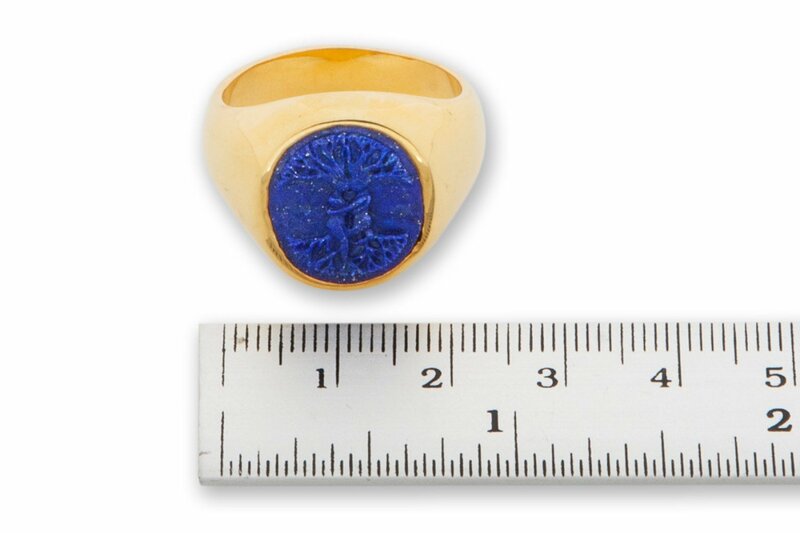 (11/16 x 5/8 inch). 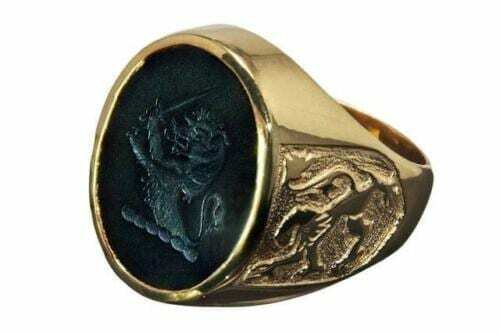 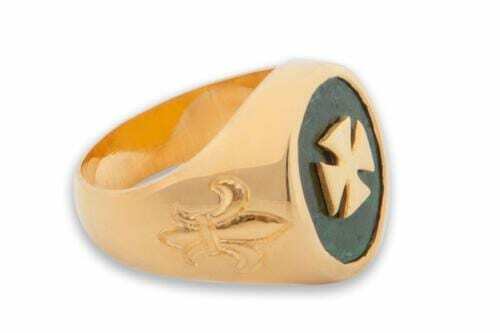 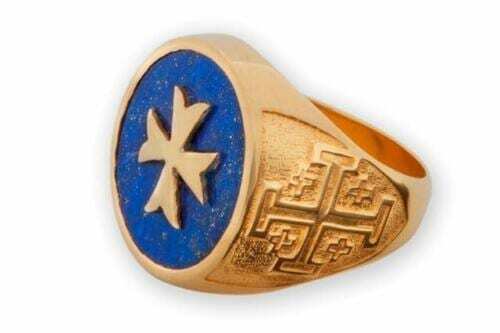 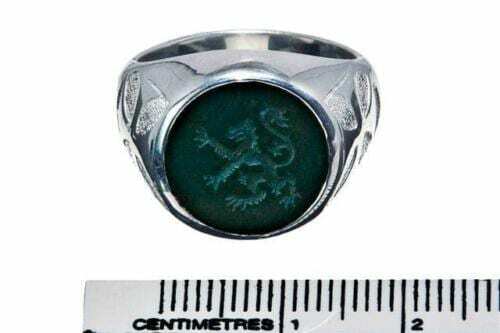 This is one of our medium sized signet rings. 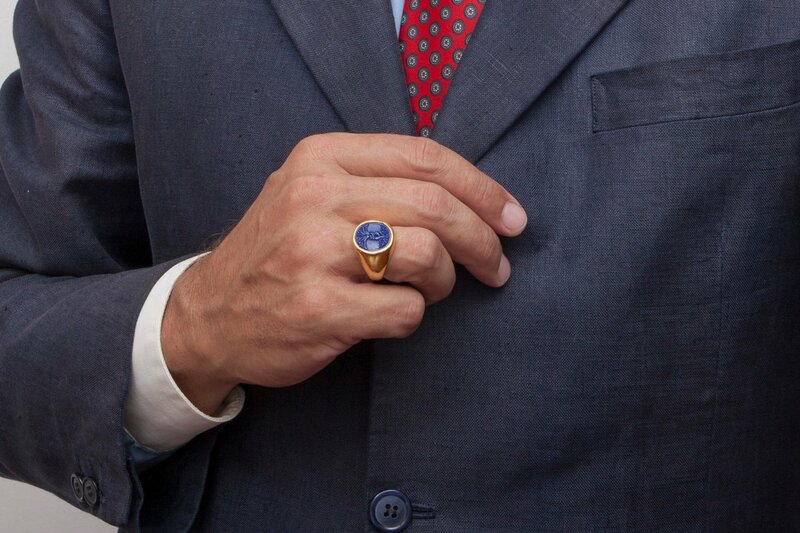 The image is very elegant and interesting–perfectly suitable to be worn by ladies OR gentlemen.